Rally Cycling brings new meaning to the phrase "keeping it in the family" by signing a sibling duo to their roster, Canada's Nigel and Gillian Ellsay. The pair come from Silber Pro Cycling and Colavita Bianchi, respectively, and will be racing together in the same program for the first time in their young careers. Growing up in Courtenay, British Columbia, the Ellsays often chased each other around Vancouver Island on their bicycles, learning from a bike racing dad as they went, eventually developing into two of Canada's most promising young time trialists. They bring a unique competitive spirit and loads of raw talent to the team. Gillian trained and raced for a number of years as a result of her dad's influence, but it wasn't until her brother started racing that she really embraced the sport. "Riding on the same team as my brother is going to be a blast! He's been one of my biggest supporters since I started racing. He passed on a lot of valuable advice and shared his experiences with me, and it's helped me avoid some common mistakes," said Gillian. The move to a bigger team comes at the perfect time in Gillian's development. 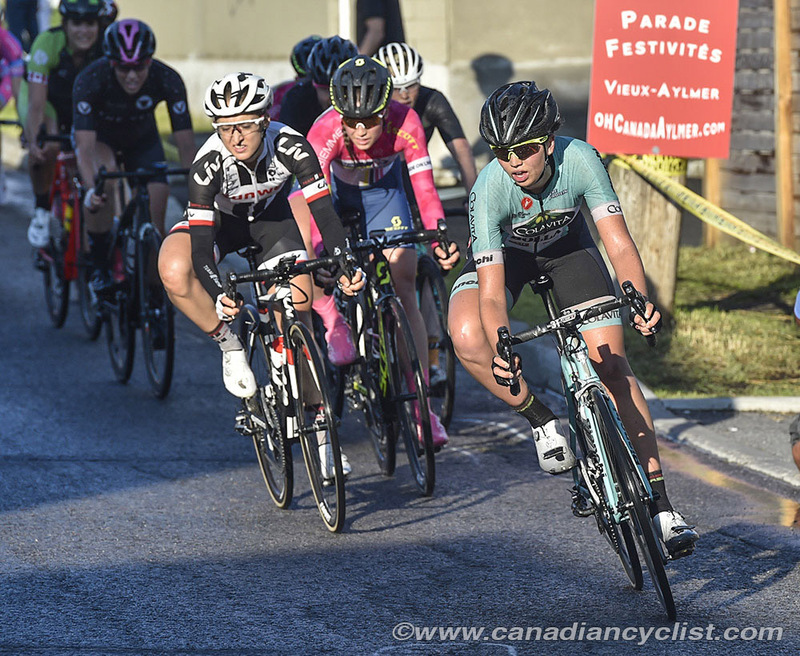 As Junior National Time Trial Champion in 2015, she won gold at the Canada Summer Games and that propelled her into her first professional contract with Team Colavita Bianchi in 2017. While there, she competed in some of America's biggest races and gained valuable experience that will serve her well in her young career. Gillian raced as a guest rider at Rally Cycling's hometown race, the North Star Grand Prix, in 2016. She showed the team some of her unique spirit and talent, leading to a full time roster spot for 2018. "We know what Gillian is capable of, and we are very excited to add her to our growing roster," said Women's Performance Director Zach Bell. "We have a lot of Canadians on the team that are tough, smart, great athletes, and we think Gillian will fit right in." "I'm really excited to sign for Rally Cycling," said Gillian. "They have been one the most consistent teams for a while now and a team I have looked up to since I was a Junior. You can see the amount of depth, support and opportunities the team has. Consistent, hard working riders and staff is the recipe for success." Nigel Ellsay started his professional career with the Canada's Silber Pro Cycling outfit in 2014, where he developed into a general classification leader. He excels in the time trial, much like current Rally Cycling rider, former teammate, and countryman Matteo Dal-Cin. In perhaps the biggest result of his career, Nigel finished a close second in the 2017 Canadian Time Trial Championships to WorldTour rider and former World Time Trial Silver medalist, Svein Tuft. Tuft is known as one of the strongest and most respected riders in the professional peloton, a journeyman. To be within seconds of him spoke volumes of Nigel's ability. However, Ellsay felt his performance at the Tour of Utah this year was a major turning point in his career, and showcased that the young Canadian is ready to ride at the upper echelons of the sport. "TT Nationals was really cool but I'm most proud of my 13th on GC at the Tour of Utah," said Nigel. "It wasn't a win, a podium or even a top ten! However, it was a big personal victory. I've never climbed at that level before. It was the culmination of a lot of hard work over the winter, then staying focused throughout the season. Looking back, there are ways I could have been better. But I'm most proud of my Utah ride because of the big changes and sacrifices I made to get to there." 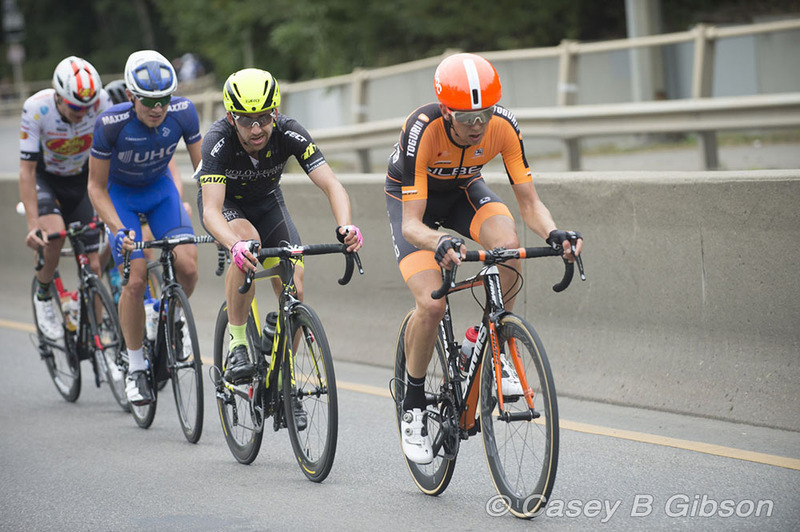 In addition to his Tour of Utah result, Nigel finished in the top ten overall at the Tour of Alberta, Joe Martin Stage race and Cascade Cycling Classic in 2017. This consistency at major stage races is a key reason he landed a spot on the 2018 roster. "You can see that Nigel is ready to land some big results," said Men's Performance Director Jonas Carney. "He is always there at the end of these difficult races. Putting him with our best climbers will push him to reach that next level."